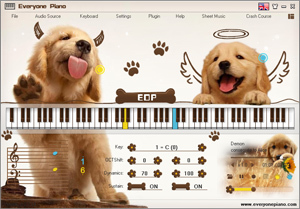 EOP Stave Follow Me is a teaching plugin for learning piano with stave. 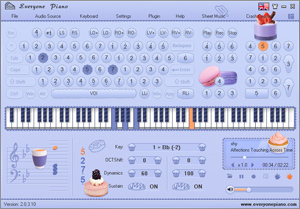 Run Everyone Piano ->Plugin ->EOP Stave Follow Me. In the "Plugin Download" pop-up window, click "Download" to download and install EOP Stave Follow Me. Note: If the EOP Stave Follow Me do not listed in the plugin list, please click the menu Help ->Update, then you can update the software to be the newest version. When the download process is completed, click "Run" to use the EOP Stave Follow Me. It is not necessary to install the EOP Stave Follow Me the next time, just run Everyone Piano -> Plugin Setting ->EOP Stave Follow Me.